This cruise, led by ECOGIG's assistant director Dr. Joe Montoya, takes the team back to the Gulf of Mexico to continue their yearly research assessing the ecological impacts of the 2010 Deepwater Horizon accident (Macondo oil well blowout). 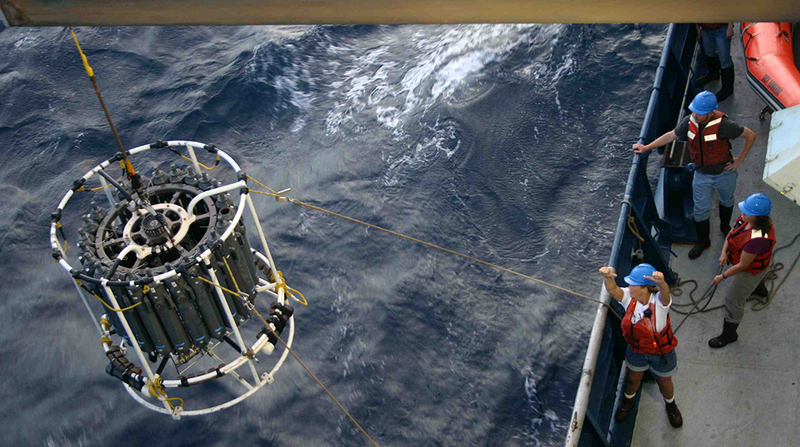 This will be the third biogeochemistry cruise of the ECOGIG-2 consortium, The researchers are using cold seeps as natural analogs of human oil releases, and this cruise will sample a variety of such seeps, focusing on sites they've sampled repeatedly since 2010. They will also visit a control site and a nearshore site with persistent surface slicks of oil. These biogeochemistry cruises are an important part of ECOGIG's research - affectionately termed the "workhorse" cruise, ECOGIG researchers rely heavily on the data collected during this cruise to track the impacts of human caused oil inputs and compare them to natural oil and gas seeps and control sites.